UK COAST GUIDE: WHERE WILL YOU EXPLORE? With miles and miles of UK & Ireland coastline, thousands of islands to explore and seaside towns to choose from, where is it best to go? Coast Radar is more than just a beach guide, we have done the hard work along with our community, here you’ll find photos, interactive coast maps, weather, tide times, beach water quality and search tools helping to provide you answers or just some helpful ideas. The one place to find about all things on the coast. From beach to cliff, from headland to harbour wherever you want to go, whatever you want to do. Coast Radar helps you find the right spot. 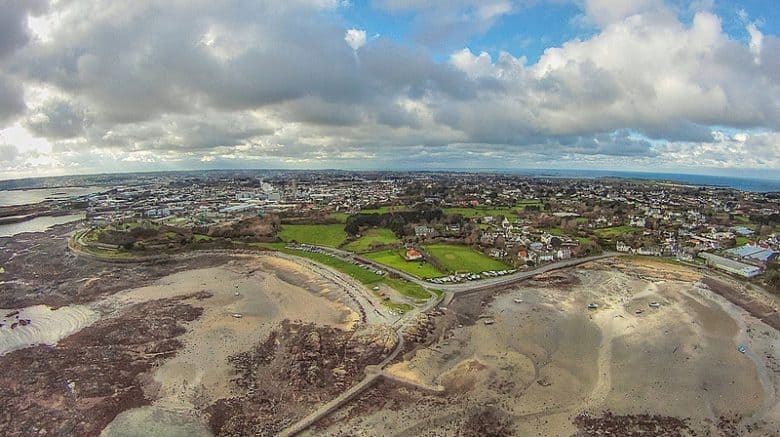 It does not matter if you are planning a staycation or a family day out at the beach, Coast Radar is the guide that has the information to help and inspire you to visit and enjoy our beautiful and diverse UK & Ireland coastline. 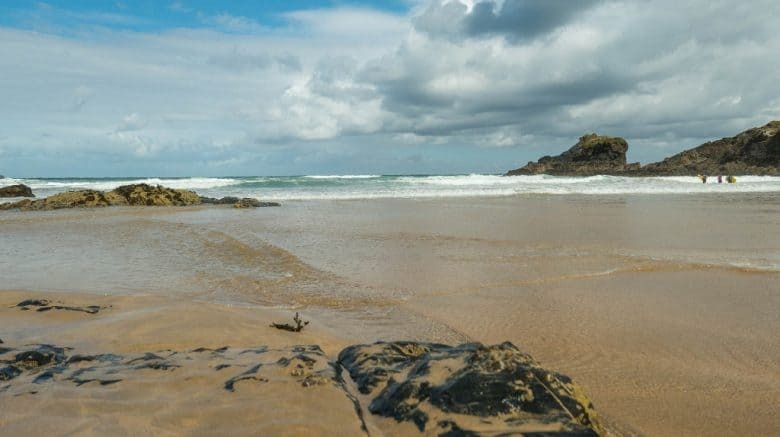 Check out the best British beaches from popular seaside resorts with Blue Flags to the hidden beaches and coves to escape from the crowds. Planning a holiday? From campsites to holiday parks, B&Bs to five-star hotels, you’ll find your dream beach and coastal retreat. 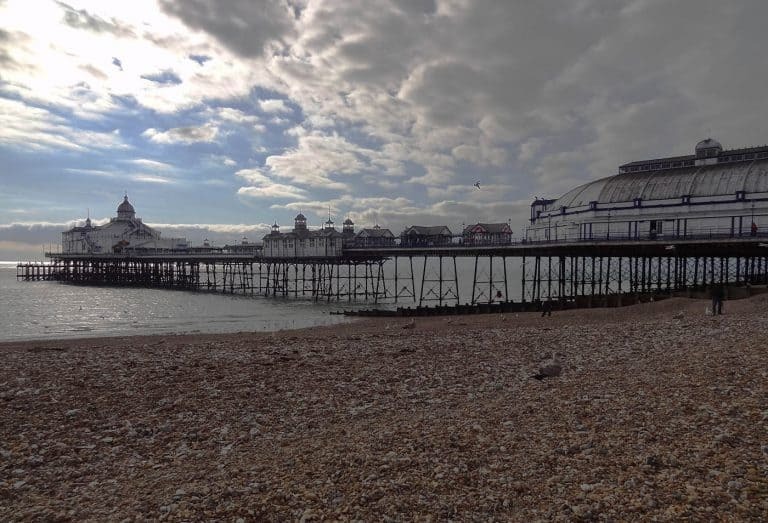 Get some inspiration for places to visit or activities to do whilst visiting the coast. From history & heritage to sports and theme parks. Find your next adventure, there’s so much of the UK and Ireland coastline to discover – why not get started with some of our most popular destinations below? Climping beach as with many along the Sussex coast has pebbles at high tide and is divided by wooden groynes. But at low tide, a huge expanse of dark, fine, hard-packed sand is exposed, making it an ideal spot for families and shallow swimming. Very popular with kitesurfers and windsurfers with car park grass areas for setting up.Climping Beach is a quieter area of coastline than its neighbour seaside towns of Littlehampton and Bognor Regis. If you head eastwards towards Littlehampton much of the area is now designated of scientific interest, and parts are a nature reserve, although many sections of the sand dunes are now fenced off to protect against erosion and help local species to thrive.The actual beach is exposed and struggles with coastal erosion and can change its appearance between visits.A great place to base a coastal walk, you can head in either direction; to the East, you have the dune eco-system and then Littlehampton. To the West, you are backed by countryside and then hit the many private beach estates (Elmer, Middleton-on-sea, Felpham) that line this stretch of Coast before Bognor Regis.Facilities at the beach include car parking (charges apply), cafe with outdoor seating, toilets and outside shower, field available for hire. You also have a pub half a mile back up the road from the beach. Out of hours the car park is closed but a few spaces available on the road by the beach.Climping Beach is often also referred to as Atherington Beach after the coastal hamlet it sits within rather than the nearby village of Climping. 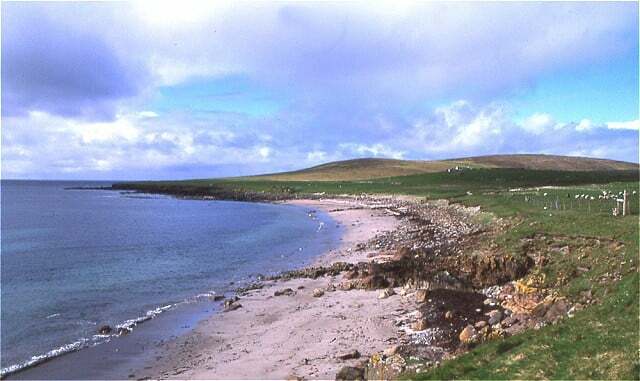 Moggs Eye Beach is an unspoilt, sandy beach with a wide sandy area that slopes down into the sea. This beach is surrounded by sand dunes with steps leading over the dunes to a picnic area and spacious car park with a toilet block. This is a good beach for swimming, surfing and fishing and has some great walks nearby with the nearest town being Mablethorpe. 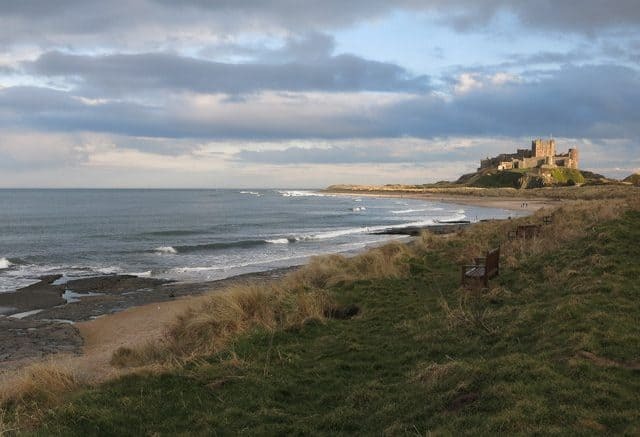 This dog-friendly beach is popular for dog walkers as it is never too busy and is a perfectly safe environment away from the roadside with no restrictions in place. Wildlife thrives on this natural and unspoilt Lincolnshire coastline and is a haven for birdwatchers, nature lovers and conservationists. Facilities at the beach include car parking, toilets and picnic area. It is worth noting that this same beach stretch can be accessed from the Huttoft beach car park. Elmer Sands beach is a typical West Sussex pebble beach with a high water steep pebble bank and wooden groynes. As the tide goes out the beach expands into flat compact sand. You have some very interesting rock islands which form part of the local sea defence that at low tide become accessible and are great to explore for shells, shrimps and crabs, although be careful about climbing them. 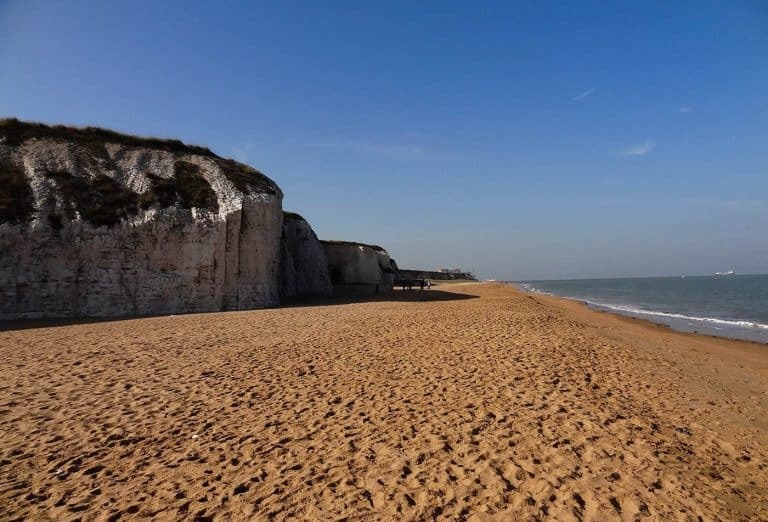 Elmer along with its immediate neighbour Middleton-on-Sea are excellent family beaches for all ages, great for beach games, rock pools and when at low-tide the water is very shallow making ideal conditions for swimming and beginner water sports as you can stand-up. If you get bored of just sitting on the beach at mid to low tide you have a nice easterly walk away from the built-up area towards Climping Beach where you can have a cake and ice-cream before heading back. The beach is very hard to get access due to the private beach-side estates that are common on this stretch of coast but this is the greatest benefit as it limits the number of people on the beach even on very hot summer days to locals and those staying nearby. The beach has no facilities with the closest being some shops and pubs located on the main road just back from the beach. The Elmer Sands Sailing Club does have an outside shower and the Elmer Sands estate has a grass playing field with basketball hoop and a small children’s play area. Morfa Bychan beach near Pendine is a sandy beach with some pebbles, safe bathing and some rock pools to explore. The beach is surrounded by limestone cliffs and caves and looks out over Carmarthen Bay towards Tenby and Gower. There is some parking at the beach but the access road can be bad to access the beach so will need to walk. Options to walk are from Pendine beach at low tide, along with the coast path although this is a hilly walk. No facilities available at the beach but some available at nearby Pendine village. 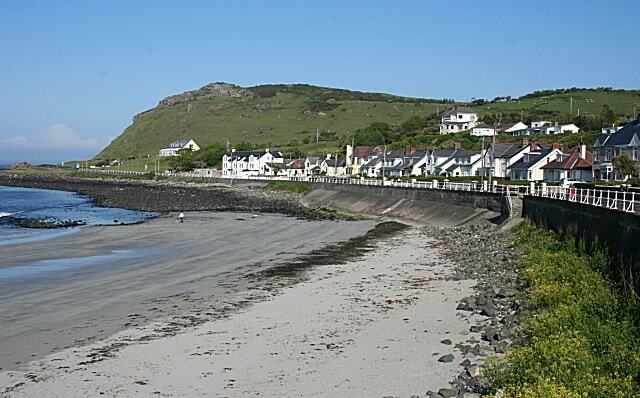 There is a beach called Black Rock Sands that is also known as Morfa Bychan in North Wales. Porthleven beach is next to the harbour and near the village centre. Porthleven beach is separated from the harbour by the granite pier which lies in front of the Porthleven institute and clock tower. When the tide is out it is possible to walk in an easterly direction along Porthleven beach for approximately three miles, past Loe Bar and Penrose Estate. Alternatively, you can walk along the coast path the coast path out of the village with the Porthleven beach below you. At high tide, the beach all but disappears. Excellent surfing location for intermediate to advanced surfers with a natural reef break. Best months is between September and December but you will always get a strong surfing community and on big days news will travel and may get packed. On a calm day a good location for SUP with choices of the protected harbour and the beach front. The beach is a short walk along the harbour to the village centre where you have parking, shops and a selection of cafe and pubs. Here we list some of our upcoming events. The Salcombe Crab Festival also known as Crabfest is not just about the locally caught Brown Crab but is a celebration of local fishing, food and drink. During the day enjoy cookery demonstrations by award-winning chefs, crab picking masterclasses, crab pot making, live music, kids activities and much more! The crab festival is hosted by the Rotary Club of Salcombe to raise money for local causes. The Isle of Man TT (Tourist Trophy) is run in a time-trial format on public roads closed to the public. The first Isle of Man TT race was held on Tuesday 28 May 1907 and has since been held most years. The TT week includes 9 races covering vehicles from traditional race bikes through to sidecars. Qualifying runs each evening from Saturday 25th May to Friday 31st May 2019 (Excluding Sunday 26th) Saturday 25th May – Friday 31st May 2019Qualifying runs each evening (Excluding Sunday 26th)Saturday 1st June 201912:00 Superbike TT Race (6 laps) 15:00 Sidecar TT Race 1 (3 laps)Monday 3rd June 201910:45 Supersport TT Race 1 (4 laps) 14:15 Superstock TT Race (4 laps)Wednesday 5th June 201910:45 Supersport TT Race 2 (4 laps) 13:45 Lightweight TT Race (4 laps) 16:25 Zero TT Race (1 lap)Friday 7th June 201910:30 Sidecar TT Race 2 (3 laps) 12:45 Senior TT Race (6 laps)* Please note that race dates are subject to change or cancellation by event organisers at short notice. The South Tyneside Festival has activities and events taking place throughout the summer months of June, July and August, and admission is free. A annual three-month celebration of music and culture and includes:Open-air concerts every Sunday in July at Bents Park A summer parade on Sat 6th July, which heads through the streets of South Shields proms in the park Fun, games and activities for children much much more…There is something for everyone and a full programme can be found on the website. The Bushmills Salmon and Whiskey Festival has tastings of salmon, live cookery demonstrations along with themed dishes in the local restaurants and live traditional music and dance. As well as the whiskey tastings in the distillery you can also take tours of the salmon station and visit artisan stalls, heritage talks, craft workshops, and many street performers that add to a great atmosphere. Alnmouth Art Festival featuring local artists displaying and selling their work at venues in the beautiful coastal village of Alnmouth. Venues include private homes, businesses and public buildings and you also have street food and children’s workshops. Charles Dickens visited Broadstairs in Kent regularly from 1837 until 1859. The streets of Broadstairs come to life in Victorian style, with stalls, shopping and demonstrations celebration Charles Dickens and Victorian culture as a whole.